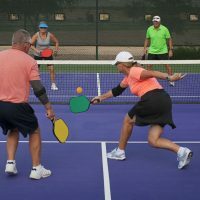 The Elite Finesse Pickleball Paddle was designed by Pickleball Inc. to provide players with substantial amounts of maneuverability at the net. The ball pops off the graphite face with incredible speed and is quite responsive. 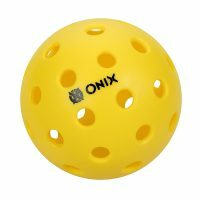 Inside, the sturdy Nomex core provides a great base and withstands hours upon hours of pickleball play. The slightly teardrop-shaped design removes any extra wind resistance so your swing is as nimble as possible. 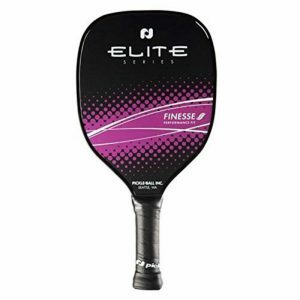 The Elite Finesse Pickleball Paddle has a stunning design as well. The solid-black background is layered with a thick stripe across the lower half of the paddle with complimentary white ribbons cutting through this band. 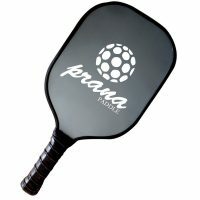 “ELITE SERIES” is located just above this, with the name of the paddle found on the center-right side of the stripe. 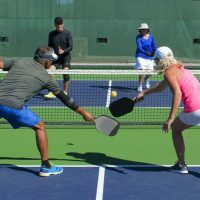 The Elite Finesse Pickleball Paddle is perfect for players who love to earn points at the net. The light, 6.3 to 7.2 ounce weight is great for dinks and short shots. At the widest point, the paddle measures 8” wide and from top to bottom is 15-3/4” long. The 5-1/4” long handle has a great, smaller grip circumference. 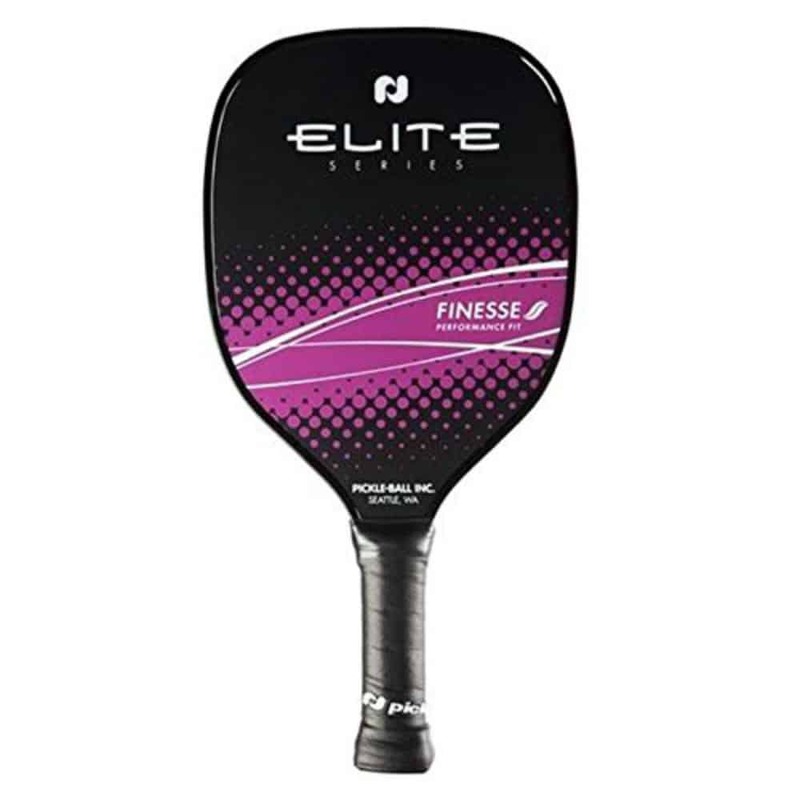 The Elite Finesse Graphite Pickleball Paddle should be any perfectionist’s go-to paddle. 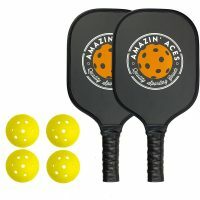 As someone that is fairly new to Pickle ball I am in love with this paddle. As there were so many choices I was overwhelmed. That is one reason I feel reviews are important because they help me in my decision making process. This is a perfect paddle for me. You see even though I am new I am not a very good player. I absolutely love the game and decided to ditch my wooden paddle for this one. It has helped my game 99% I thought the handle might be a little big for me but it really works well. Its not too light and I am getting great results. Good fit, great play. 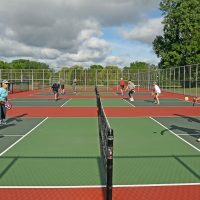 As a fledgling pickleball player, the Elite helps me adapt from my tennis routines. 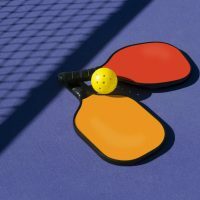 I thoroughly enjoy the paddle, and it’s a great help to my game. 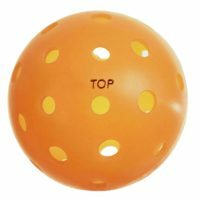 So nice to have a company, Pickleball Central, who appreciates your business and gives details about their return policy. Love my paddle, too. Super light and has a smaller, longer grip than most, which I appreciate. Good pop on the ball, feels great in my hand. 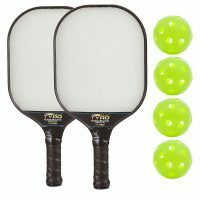 Ordered a second Power paddle for my wife because she liked it more than the Finesse lightweight paddle. Solid and feels great. 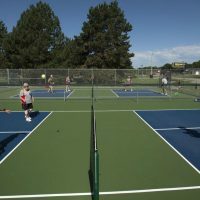 Longer handle helps me with my daily transition from tennis. This was the first paddle I purchased. It’s solid, lite, and great grip. Been testing other rackets as I play with the 150 Elite, none are as nice.